You may not see Gentherm’s products in everyday life, but you could easily feel them. 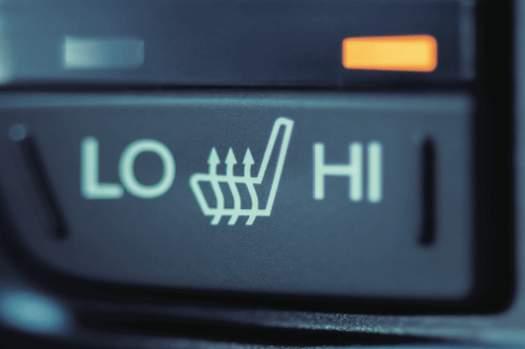 That toasty warm car seat on a cold winter’s day—the same seat that keeps you nice and cool during the dog days of summer? Thank Gentherm. 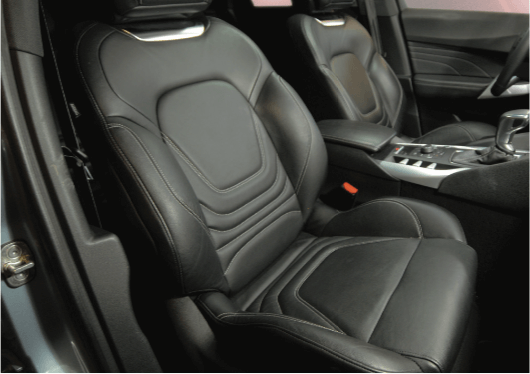 Since introducing the first heated and cooled car seat in 1996, Gentherm has continued innovating and expanding its business through acquisition to become a global leader in a wide range of thermal technologies and solutions. Today, the company has 25 facilities—including business offices, R&D, manufacturing, and distribution—in 13 countries across North America, Europe, and Asia. Naturally, the company’s WAN is critical for everything from sharing massive CAD files to shipping parts on-time. But performance and reliability problems with the network put a drag on applications and caused nothing but headaches for Bruce Jarrett, the company’s infrastructure team lead and network architect. Instead of waiting weeks or months for an MPLS circuit, I can use a local ISP and bring up a new site in a matter of days. Once all the equipment is in place, I can use Orchestrator to set up the EdgeConnect appliance and have traffic flowing in less than 30 minutes. After attending several conferences and learning about virtualized networks, Bruce began researching SD-WAN as a solution to solve Gentherm’s network challenges. He evaluated Talari, Fat Pipe, and Silver Peak, ultimately deciding on Silver Peak and the Unity EdgeConnectTM SD-WAN edge platform. Bruce deployed EdgeConnect at 23 physical sites in just four months—everywhere except two minimally staffed offices. Each site is connected with an MPLS link and one to three broadband circuits with quality of service (QoS). All the links are bonded to maximize utilization and provide instantaneous failover for assured network and application availability. Bruce also deployed three virtual EdgeConnect appliances in Microsoft Azure to handle backups sent to regional Azure sites in the U.S., Europe, and Asia. For this, he takes advantage of the optional Unity BoostTM WAN optimization performance pack to accelerate backups and reduce data by using protocol acceleration, deduplication, and compression. In addition to eliminating the need for tape backups, the cloud solution streamlined backups dramatically. Increasing available bandwidth was only one part of the story in getting traffic flowing faster and smoother. The other key factor was adding Boost, which compresses data and reduces the amount of traffic traversing the WAN. As a result, Gentherm can send more data over the SD-WAN and have that data transmit much faster. In addition to improving network throughput, latency has also been cut in half—from over 500 milliseconds in the past to less than 250 milliseconds with the EdgeConnect SD-WAN edge platform. As a result, Bruce says end users have noticed a big jump in application performance, particularly for the company’s Microsoft Lync voice system. Jitter and poor call quality caused by high latency have been eliminated by prioritizing voice traffic and applying path conditioning, which includes adaptive forward error correction and real-time packet order correction, combined with quality of service and dynamic path control over multiple links. Gentherm is a global developer and marketer of innovative thermal management technologies, providing everything from thermal electric generators to intelligent temperature management in operating rooms to specialized cooling systems for the growing energy storage industry.